What is New Media Art? What does this term really describe? What has occasioned the schism between this term and the art scene it is supposed to describe? And lastly, what can explain the limited presence of this artistic practice – which appears to have all the credentials for representing an era in which digital media are powerfully reshaping the political, economic, social and cultural organisation of the world we live in – in critical debates? All these and many other questions are tackled by Italian art critic Domenico Quaranta in his new book Beyond New Media Art (Link Editions, 2013). Beyond New Media Art is, on the one hand, an attempt to analyse the current positioning of the so-called New Media Art within the broader field of contemporary arts and to investigate the historical, sociological and conceptual reasons for its marginal position and limited visibility in contemporary art history. 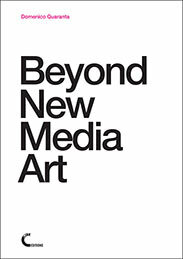 On the other hand, the book is also an attempt to introduce new critical and curatorial strategies, which would render this marginalisation a thing of the past, and to elucidate the topicality of art that deals with media and the issues of the information age. Domenico Quaranta will introduce the book at the press conference for journalists and experts and at a two-day free seminar, intended primarily for students and artists, but open to general audiences. On this occasion, the Aksioma issued a Slovenian translation of the book, which is available through an online platform for print on demand and as a free e-book (epub and pdf). The first session will focus on the meaning of the label “New Media Art”, considering the broad spectrum of literature in which this label or its more widespread surrogates such as “Media Art” and “Digital Art” are adopted, and discussing the terminology issues it raises. Is it a medium-based definition, as it seems at first glance? The second session will trace the history of New Media Art from its origins in the sixties to the early nineties, focusing on what in this history may support the thesis according to which this practice developed into an art world of its own, and on the reasons for this independence/segregation from the art world. The third session will analyse the differences between the New Media Art world and the contemporary art world, considering their systems of production, distribution and comments. Both worlds will be discussed in relation to the idea of art in which they are grounded, the type of artist they support, the borders by which they are defined, and the production and distribution systems they have developed. Conversation Domenico Quaranta / Vuk Ćosić: the role played by the internet and net-based practices in bringing new media art to the attention of a wider contemporary art audience. In the fourth session, recent developments in the history of New Media Art will be discussed according to the model of behaviour of the avant-garde described by Tom Wolfe in The Painted World (1975). Focusing on the way New Media Art has been presented on the platform of contemporary art since the mid-nineties until today, the author will discuss the modes and rhetorics of presentation adopted by museums and dealers. The fifth session will attempt to answer two fundamental questions. If many artists formerly known as new media artists are increasingly migrating to the contemporary art world, what will happen to the New Media Art world? Does it have to reinvent itself or die? And what, on the other side, can contemporary art critics and curators do to facilitate the integration of these artists and artworks in the art world and to achieve a better understanding of them? Heath Bunting (Lecture): The contemporary British artist Heath Bunting will offer a complete overview of his work, from its roots in public art to the net.art years to the present time. Group Visit: the opening of Free Universal Construction Kit/F.U.C.K. + QR Codes for Nomads (Golan Levin) at Aksioma Project Space. Launch of an online “reading group”: A forum where selected quotes will be posted and commented upon by anybody interested in taking part in the discussion. The site will be launched during the seminar and will also provide updated information about it, documentation and links. The author will be available for online discussion with the audience for two weeks after the seminar. British artist Heath Bunting invites you to take part in his workshop, Survival/Security at the Tivoli park in Ljubljana. The workshop is aimed at anyone who wants to spend few hours in the artist’s company and learn about edible plants, building tree houses or hunting. Meeting point: Tivolski grad at 11am sharp! We aim at 20 participants, on first email-first served basis. The workshop is organized and coordinated by Maja Kalafatić with the support of the Hochschule für musik und tanz Köln, the Zentrum fur zeitgenössischen tanz, JSKD and Aksioma - Institute of Contemporary Art Ljubljana. The projects E-dentity by Emil Kozole and On the Threshold by Andrea Knezović were conceived as part of the U30 – the initiative for supporting young artists. Domenico Quaranta is an art critic and curator. His work focuses on the impact of contemporary techno-social developments on art. His texts appear regularly in Flash Art in Artpulse magazines. 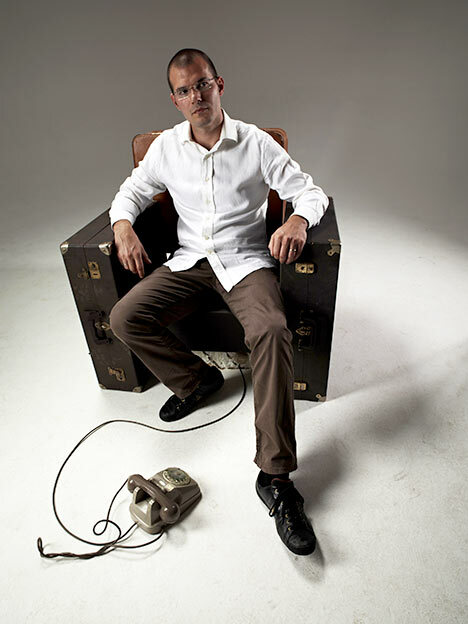 In 2006, he co-edited (with M. Bittanti) the book GameScenes: Art in the Age of Videogames; in 2010, he published Media, New Media, Postmedia. As a curator, he has organise various shows and events in Italy as well as in the international arena, including: “Holy Fire: Art of the Digital Age” (Brussels 2008, with Y. Bernard); “Pixxelpoint” (Nova Gorica 2008 and 2009); “RE:akt! | reconstruction, re-enactment, re-reporting” (Bucharest – Ljubljana – Rijeka – Maribor 2009–2010); “Playlist” (Gijon 2009 and Brussels 2010); and “Collect the WWWorld: The Artist as Archivist in the Internet Age” (Brescia 2011, Basel and New York 2012). In 2010, he participated in the seminar “Tactics and Practice: New Media Drivers” in Ljubljana. He is the artistic director of the LINK Center for the Arts of the Information Age and a lecturer at the Brera Academy of Fine Arts in Milan as well as several other universities in Italy. He is a frequent exhibitor and lecturer. He has been the subject of numerous honours theses, masters and doctoral dissertations (universities in Rome, São Paulo, Leeds, Manchester, Brussels, Trieste, etc. ), media articles (NY Times, Liberation, La Repubblica, Guardian, Financial Times, Cahiers du Cinema, Artforum, Newsweek, Wired, Haaretz, ORF, CNN, BBC, etc.) and the key publications on new media (MIT Press, Thames & Hudson, Tate, Taschen, etc.). is a contemporary British artist born in 1966. 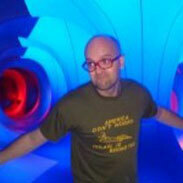 Based in Bristol, he is the founder of the site irational.org and was one of the early practitioners of Net.art in the 1990s. Bunting's work is based on creating open and democratic systems by modifying communications technologies and social systems. His work often explores the porosity of borders, both in physical space and online. 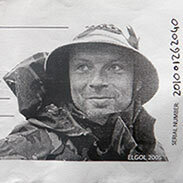 In 1997, his online work Visitors Guide to London was included in the 10th documenta exhibition in Kassel. An activist, he created a dummy site for the European Lab for Network Collision (CERN) and works to maintain a list of pirate radio stations in London.